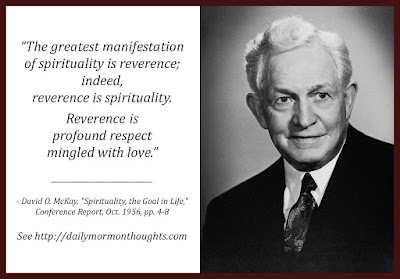 President David O. McKay (1873-1970) was called to the Quorum of Twelve Apostles in 1906. He served as a counselor in the First Presidency to Heber J. 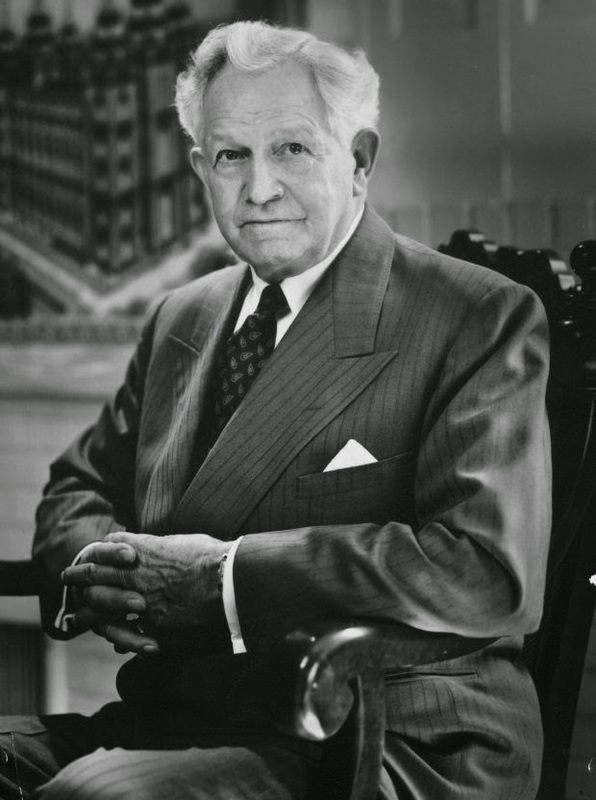 Grant and George Albert Smith beginning in 1945, then then as the president of the Church from 1951 to his death in 1970 at age 96. "Parents, Reverence, as charity, begins at home. In early childhood children should be trained to be respectful, deferential--respectful to one another, to strangers and visitors--deferential to the aged and infirm--reverential to things sacred, to parents and parental love. "Three influences in home life awaken reverence in children and contribute to its development in their souls. These are: first, firm but Gentle Guidance; second, Courtesy shown by parents to each other, and to children; and third, Prayer in which children participate. In every home in this Church parents should strive to act intelligently in impressing children with those three fundamentals." I love the way President McKay links reverence and spirituality, and the beautifully simple definition he gives of what reverence truly is: profound respect mingled with love. President McKay gives instruction to parents on how to encourage feelings of reverence in children at home. But similar principles apply to each of us as we strive to increase and retain feelings of reverence and spirituality in our lives. We need to be willing to accept firm but gentle guidance from others who can guide and teach us; we need greater courtesy to all those around us; and we must always make prayer an integral and ongoing part of our personal and family lives.